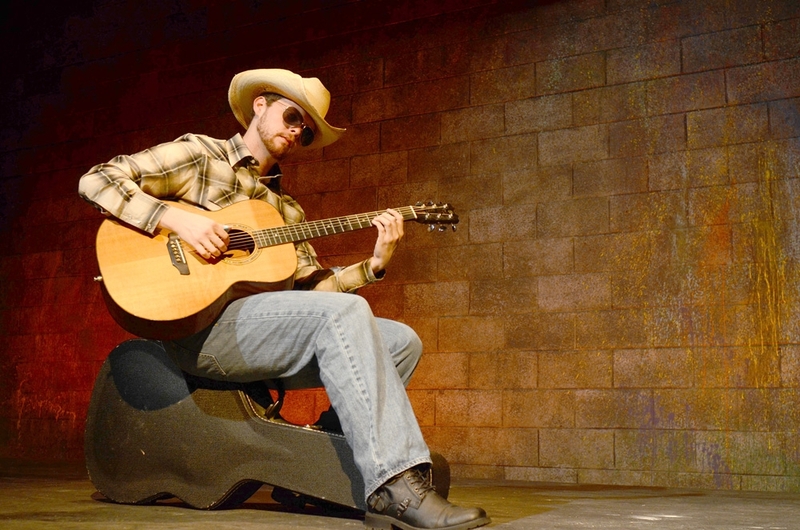 The Vancouver Fringe Festival presents Chase Padgett's Nashville Hurricane. Chase Padgett loves Canadians and Canadian Fringe Festivals. “I often feel that I’m a Canadian trapped in an American’s body,” he said. Padgett is returning to Vancouver with his new show Nashville Hurricane after last year’s successful Vancouver Fringe Festival show, 6 Guitars, and he is looking forward to being back in this city. So far, Nashville Hurricane has delivered. “The show is really clicking into place in a way that took 6 Guitars longer to do, and I’m really happy about it,” said Padgett. This new show is also about the guitar, but it is very different in terms of the story structure and characters. The only character from 6 Guitars who reappears in this show is Tyrone. The characters in Nashville Hurricane each go through a transformation, and their relationship with the audience changes as well. Henry, the Nashville Hurricane, is a young boy at the beginning of the story, telling the story in hindsight as an adult. He is somewhere on the autistic spectrum, although it’s never fully diagnosed and Padgett never says it out loud. Padgett describes Henry’s mother Brenda as “straight up country trailer trash hilarity” and “a whisky soaked tornado” who has no qualms telling it like it is and being crass the entire time. By the end of the show, Padgett said that she ends up understanding what it’s like to be a loving, protective mother. “If I got to tell 18-year old Chase what 30-year old Chase is doing, 18-year old Chase would be thrilled beyond belief because this is exactly what I want to do with my life, and I’m doing it.” There’s nothing better than that.